Gorgeous views of Camelback mtn. 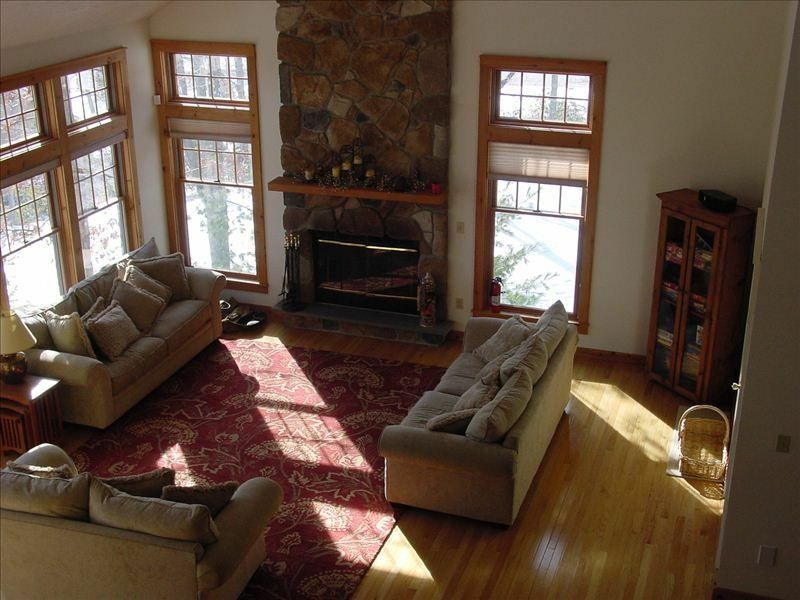 and the adjacent valley, this 5 bdrm 4 full bath home is located in the exclusive Four Seasons at Camelback (formally know as Northridge Station) sub-division in Tannersville PA; privately nestled at the top of Four Season's Mountain Laurel Court you and your family can enjoy year round fun. From the 25 water-slides,wave pool and childrens play area at Camel Beach in the summer, to the 33 trails and 13 lifts with 100% snow-making at Camelback ski area in the winter, to the red and gold of the fall foliage season to the wonderful 110 outlet stores at the Crossings only a mile away. Something can be found for anyone in this stunning location whether it be shopping, swimming, skiing, snowboarding, tubing, hiking, canoeing or other countless activities, it is sure to be an enjoyable stay. A spacious home set-up for entertaining and large families. 2 areas for gathering allow the kids to play downstairs while the adults relax by the fire upstairs. Very well stocked kitchen and plenty of family games to have fun! Pool table was a big plus! Clean and spacious! This house was perfect for our group! All the kids loved playing downstairs and the adults had plenty of room to spread out. It's about a 5 min drive to the ski area and the restaurants. The house was also very clean & well stocked. It made for a perfect weekend getaway! Very clean and neat. House is huge, warm. All amerinities in good condition. It is great location for ski trip. It is close to parking lot (3 minutes driving) at Camelback Ski resort. View from the house is amazing. We were very happy to stay at this home. I strongly recommend this house to big families ski trip. We just came home from a wonderful weekend at Dan’s vacation home. All the skiers felt it was great being so close to Camelback Ski Resort(4 min). The home was lovely and we all had plenty of room. The bedrooms were spacious and it was great having the playroom downstairs where we played pool and foozeball. The kitchen was well equipped and so were the other rooms with towels and extra linens. We would definitely recommend to friends and rent again if we come back to Camelback. Excellent Property - Great Location!! We absolutely loved this home!! We will have great memories that will last a lifetime. Can't wait to schedule our next vacation!! Our group of 10 adults was very happy with this house. Condition, amenities and location all fit our needs. The house was very clean and well-cared for. Plenty of beds and the main living area is airy and comfortable. We happily took advantage of the proximity to outdoor activities and Mt Airy casino. I wouldn't hesitate to book again next time we visit PA.